to honour this than to use a photo of my youngest son celebrating his 2nd birthday! 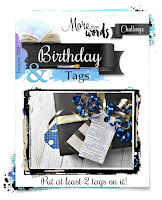 The word 'Birthday' is the inspiration for the layout and the creative challenge is to use tags. 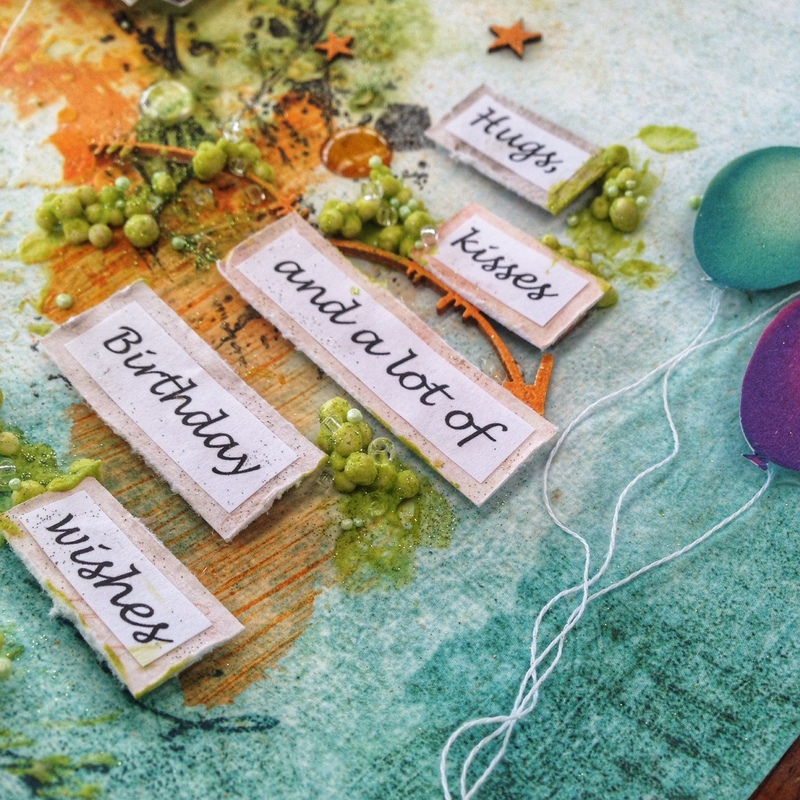 I've tucked a couple of tags in behind the photo and incorporated bright colours, balloons and a few small toys. Both my son and I are very pleased with the outcome. 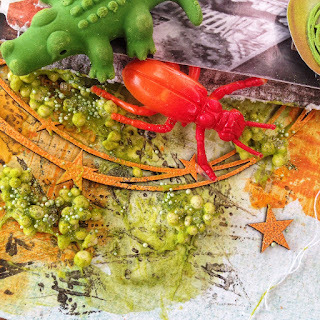 There is so much to love about this page - the toys, the colours, the gorgeous sentiment. Fabulous! I'm so glad you could join in the birthday fun at More Than Words. Such a Lovely page with toys and balloons and vibrant colors !! 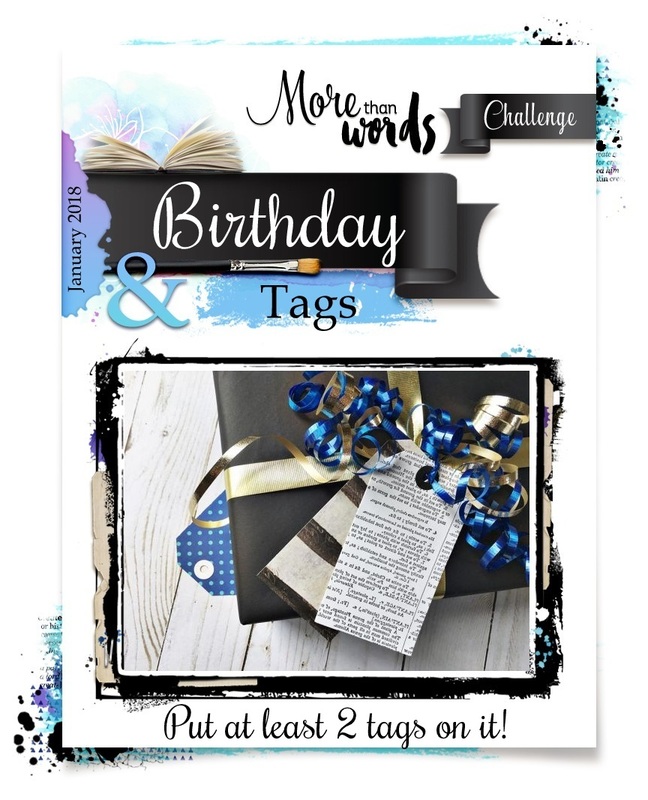 Thanks for joining us at More Than Words Challenges !! 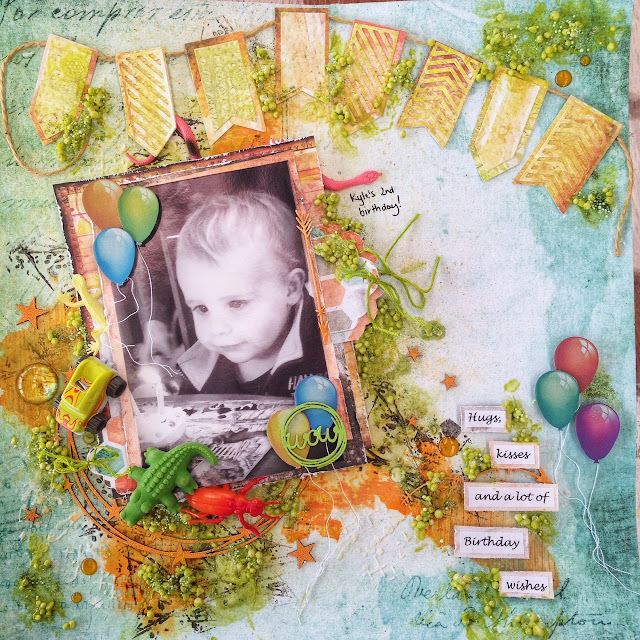 Fantastic page, love how you have some toys on your page too..
Oh, how sweet and adorable is this layout and YOUR SON! 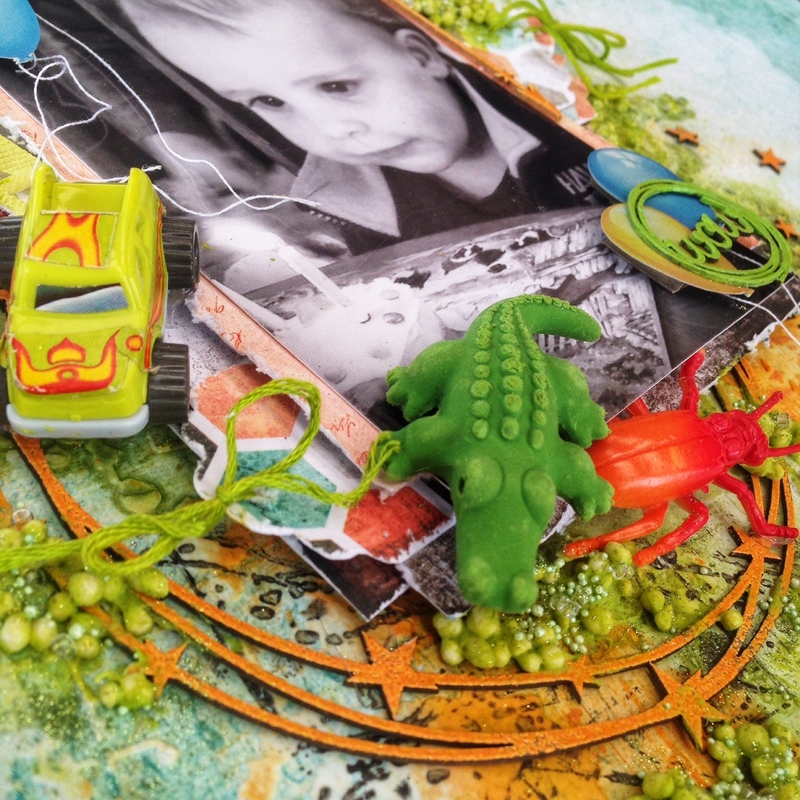 I love your use of toys on your layout!! 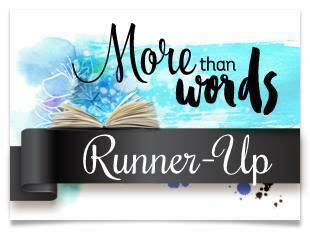 Thanks for joining us at More Than Words! 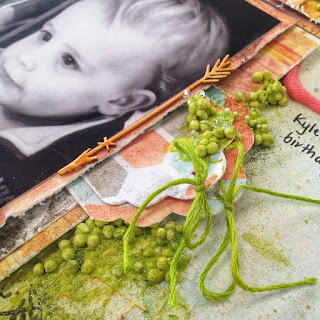 I have discovered the wonderful world of scrapbooking and mixed media! 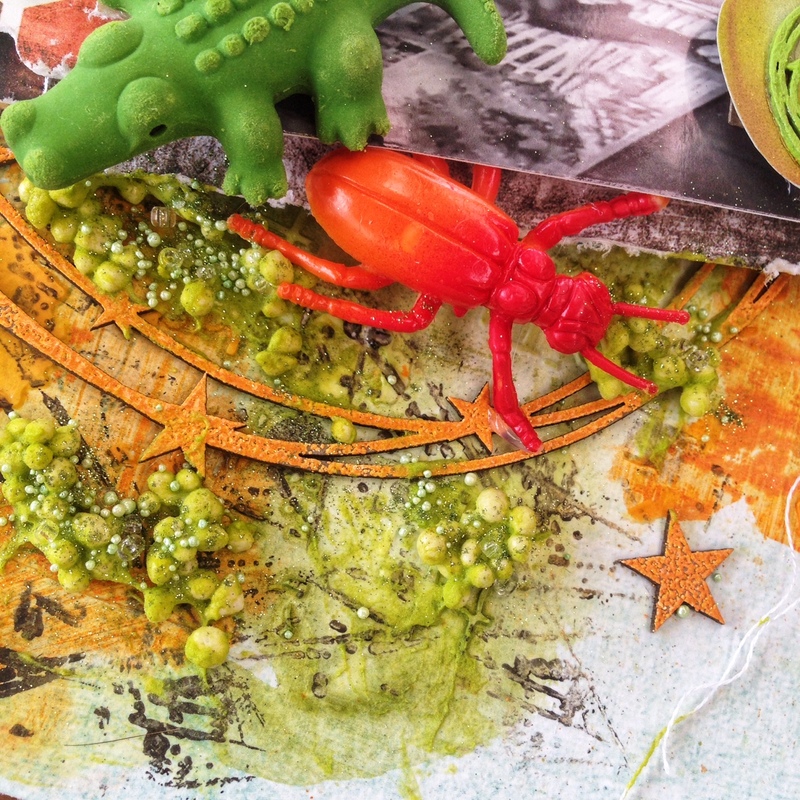 I look forward to sharing my budding passion for this art whilst I explore the endless possibilities of what I may be able to create. I hope you enjoy the experience with me.